Whether you're career planning or job seeking, Professional Development is a great way to develop your career, both as a learning and a networking opportunity. 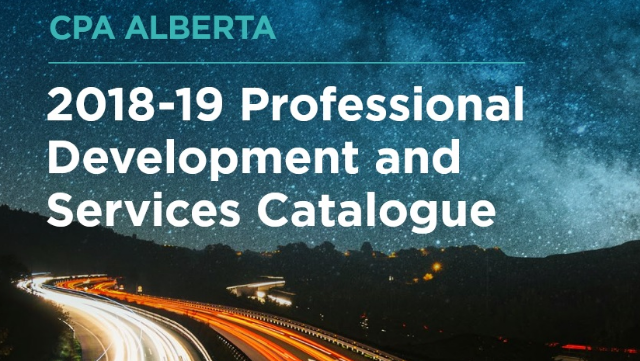 CPA Alberta Professional Development (PD) provides a variety of seminars on technical competencies and professional and personal skills, delivered to both CPAs and non-accountants in an array of formats including in-person, online and self-study. The majority of classroom seminars are offered in the fall from October to December with a smaller number of seminars offered from January to June. Offerings are regularly planned for Calgary and Edmonton. Limited seminars may be offered in Red Deer, Lethbridge, Medicine Hat, and Grande Prairie depending on needs. Online, e-learning, and self-study are available all year! Click here to access the online PD calendar, and register.